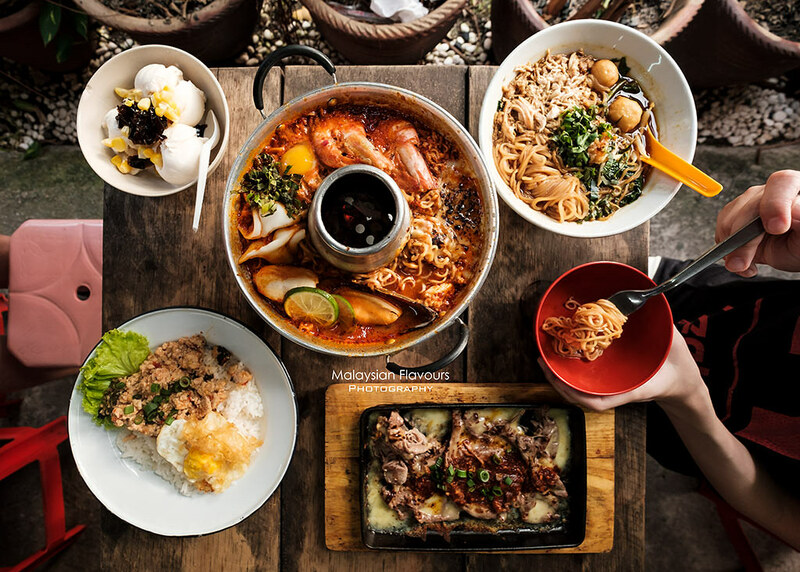 Little Rara Thai Noodle House KL – a Thai restaurant specializes in Halal Thai Boat Noodles and other Thai street food like Pad Thai, Claypot Rice Noodles with Prawns, Maggie Tom Yam Talay, Sizzling Beef, Pad Kra Praw and more. 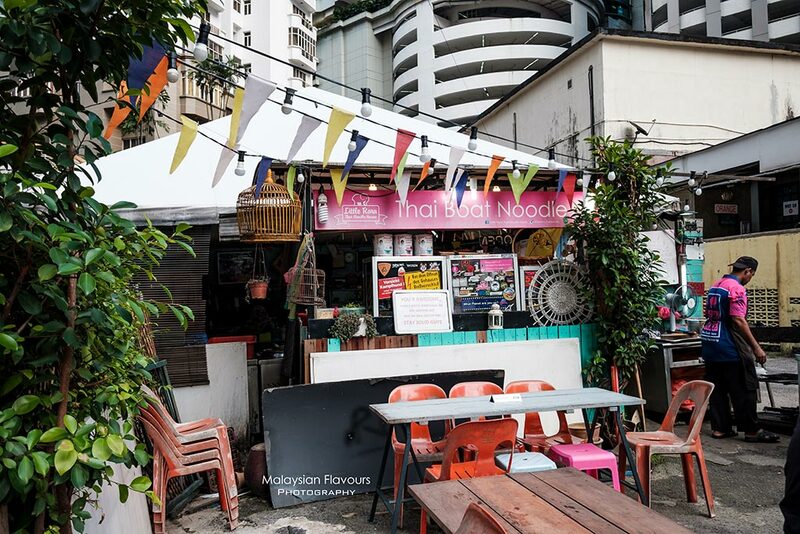 Little did we know that there’s this noteworthy Thai Restaurant named Little Rara Thai Noodle House, located just behind Pavilion Kuala Lumpur, next to Menara HLA. You can hardly spot it from the road. A better direction would be – Look for Paramount Club, walk into the car park beside it until you see a shop sign in cheerful pink, with an elephant logo. 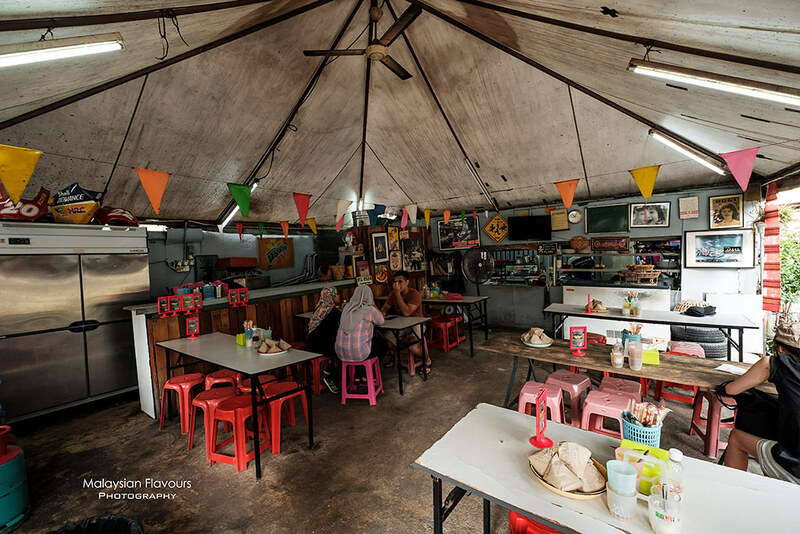 There you are – Little Rara Thai Noodle House Jalan Kia Peng KL. 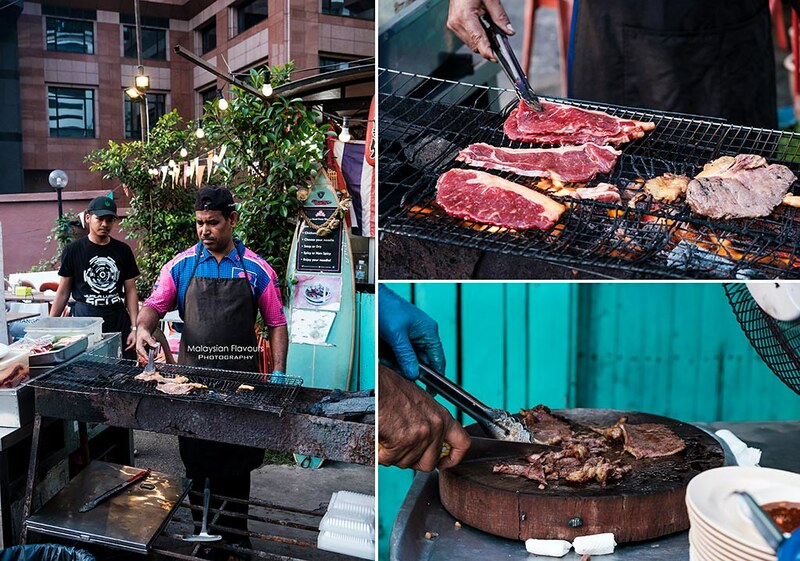 Other than Jalan Kia Peng, they also have outlets in Chow Kit Jalan TAR and Shah Alam. Just, be there early or be ready to queue. We visited Little Rara Jalan Kia Peng last Saturday, being Kiasu and reached at 5PM. Lol. Staffs were still preparing and told us to wait. By 5.30PM, the whole restaurant was filled up. Little Rara Thai Noodle House menu covers all the favourite Thai street you are familiar with, not extensive but sufficient for a satisfying Thai dinner. 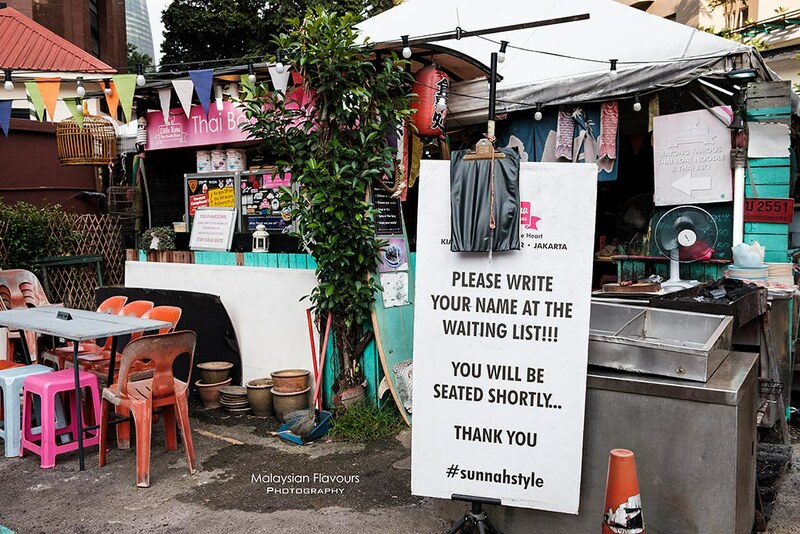 From Thai Style Grilled Chicken to Pad Thai Jareya, Thai Tea Custard Bun, Grilled Beef with Cheese, Tom Yum Noodle Soup, Speed Boat Noodle, etc. – everything is reasonably priced. 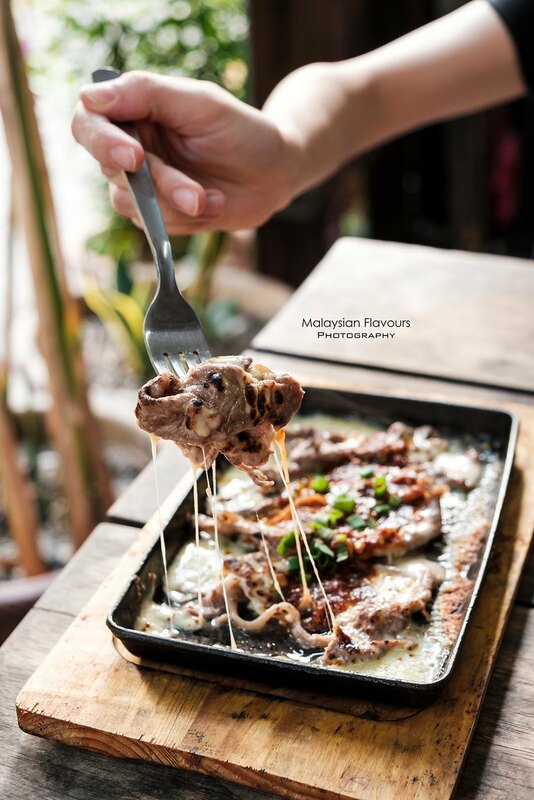 For normal weekday quick dinner, you can even settle your meal within RM10 including a drink. Tom Yam Talay Maggi with Cheese! This is one of the reasons why we are here! 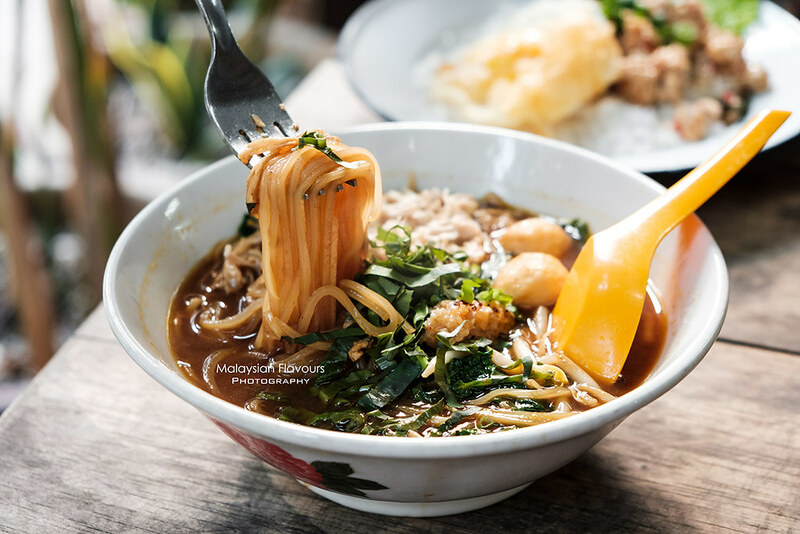 We miss Jeh-O Chula Mama Noodles in Bangkok so much that we keep looking for a good, or similar one in KL city centre after returning from Thailand. Saw this on internet the other day and decided to give it a try. 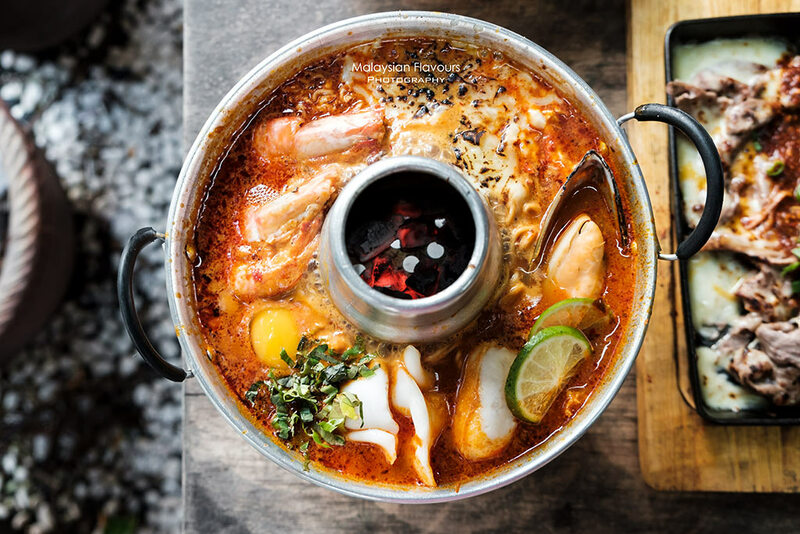 Little Rara’s version of “Mama Tom Yam Noodles Pot” is pork-free, topping mussels, squid, egg, prawns, cheese and fish paste over instant noodles immersed in red hot tom yum. It is flavourful and pack a punch, with hints of aftertaste sweetness. 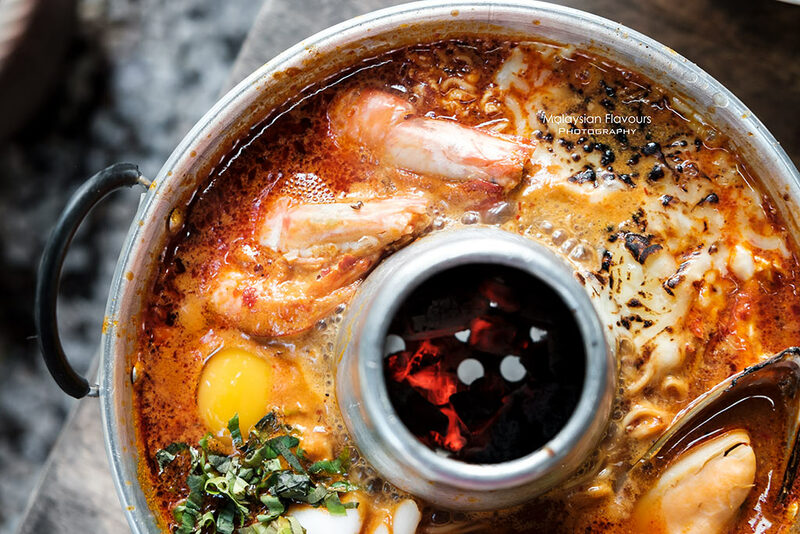 Not as spicy as Jeh-O, but still, a delicious version of Thai-style instant noodle pot. RM21 for small. 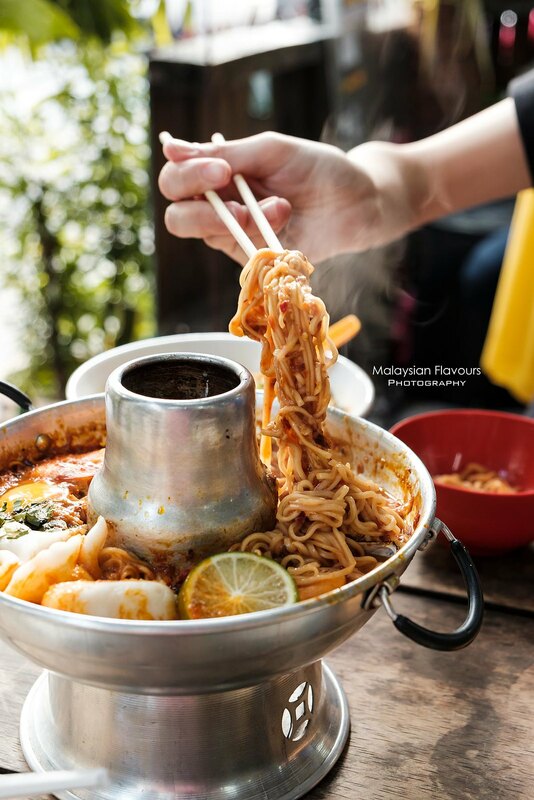 Boat noodle, a famous Thai noodle that doesn’t need further introduction. 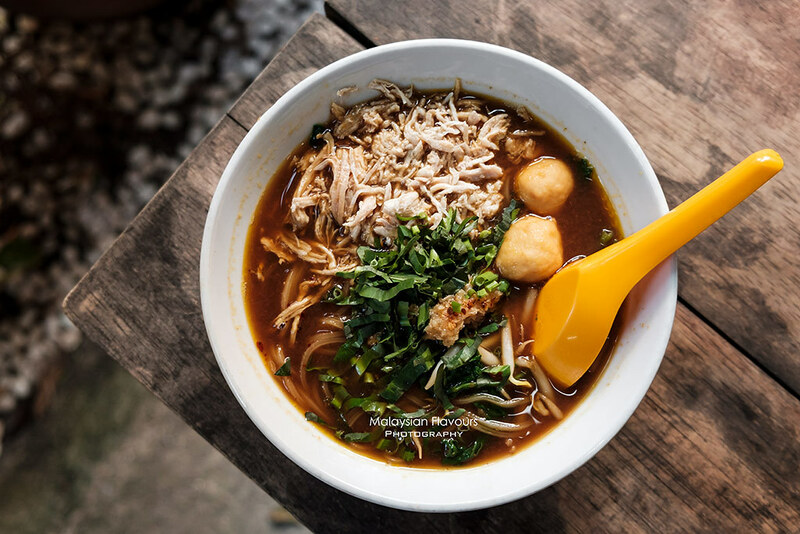 Smooth, flat noodles served in dark colour soup, topped with meatballs, chicken or beef slices, bean sprouts, and chopped onions. Enjoy with all the condiments on the table, it really helps to spice up your noodles! On a side note, what makes Little Rara Boat Noodle even special is the JUMBO size order. As the name tells, it is in giant serving, ideal for a group of 3 to 4 pax. They also have jumbo size Thai ice tea! Added an order of this because it looks tempting. And glad that it is! 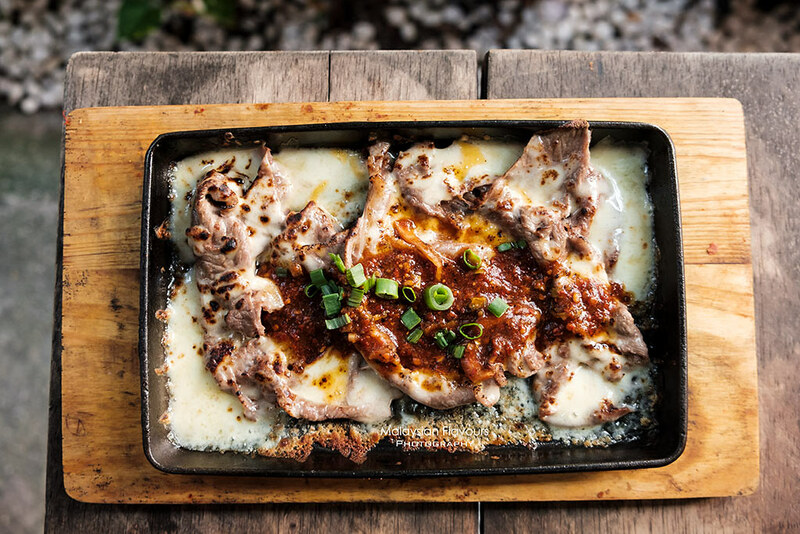 Australian beef slices are grilled right, juicy and succulent, laid with generous amount of cheesy goodness on top. Recommended. Pad Kra Praw, or Thai Basil Chicken Rice with Egg RM8 is one of the top sellers in Little Rara Thai Noodle House. 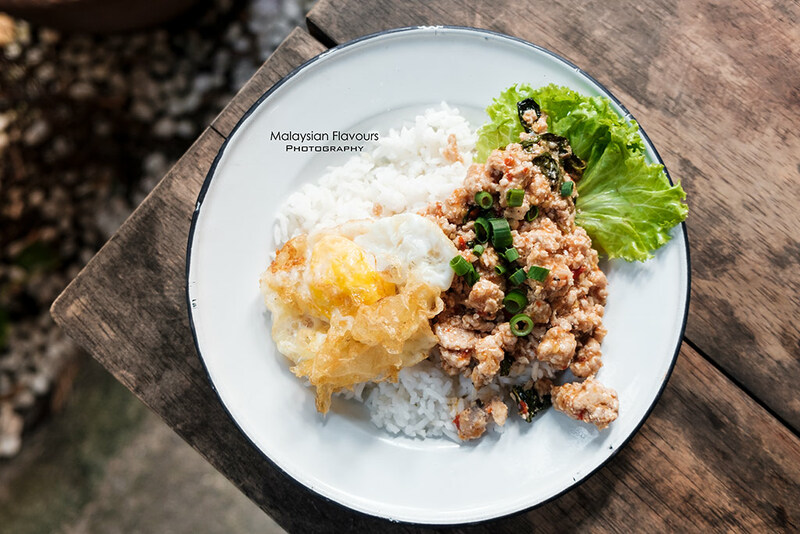 Comfort food that’s hard to go wrong with, but it is considered a mild version of Pad Kra Praw. Not so spicy, lack the savoury oomph, very subtle hint of basil leaves -Tasted quite pale to us. Ended our meal in Little Rara with coconut ice cream. Just the right dessert after all the spicy and heavy food, but nothing impress. 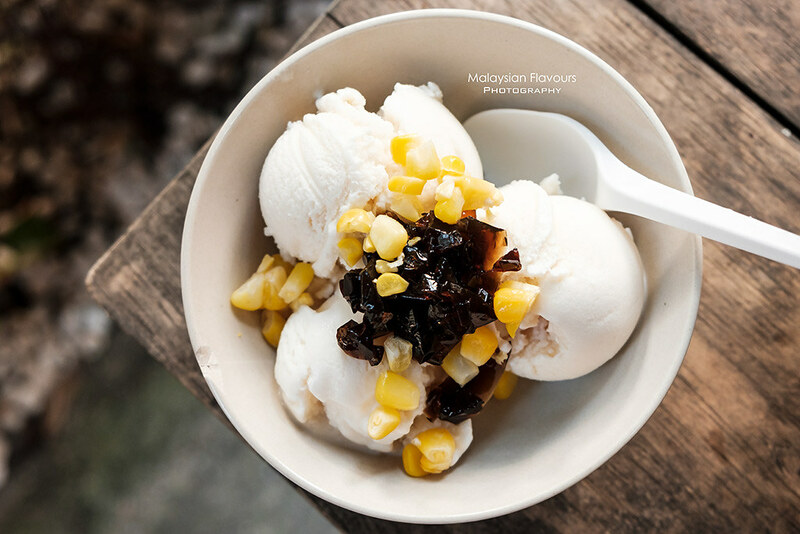 You can also get the ever-popular Thai Mango Sticky Rice here. Overall, a nice place for affordable Thai delicacies. Love their grill items. Our total bill came to ~RM60. It is a non-air conditioned place, so wear casual and comfortable clothes. For parking, you can either park inside Menara Hong Leong Assurance Building or at the carpark right in front of Little Rara, but the parking price of this open carpark might change from time to time, higher price when the crowds begin to build up in the late evening.